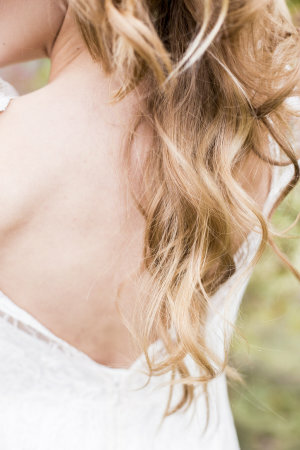 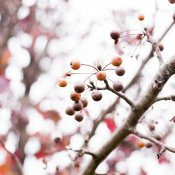 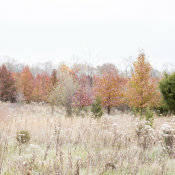 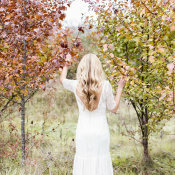 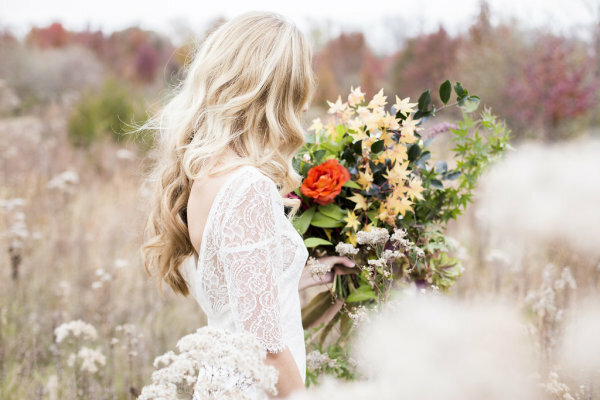 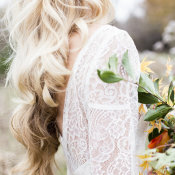 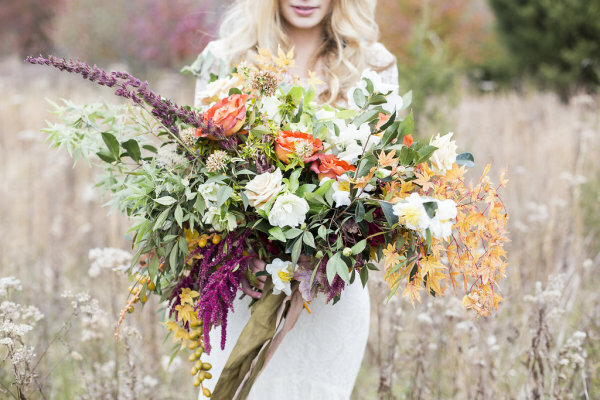 Virginia’s late fall colors are positively stunning, and today’s inspiration shoot shows them off to perfection! 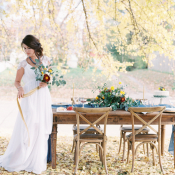 Using the transition from autumn to winter as their inspiration, the team of Reverie Supply and Wild Green Yonder brought the mood of the season to life. 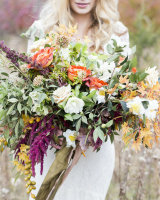 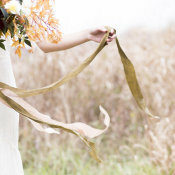 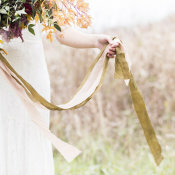 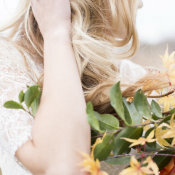 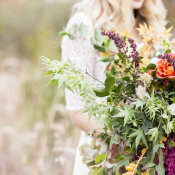 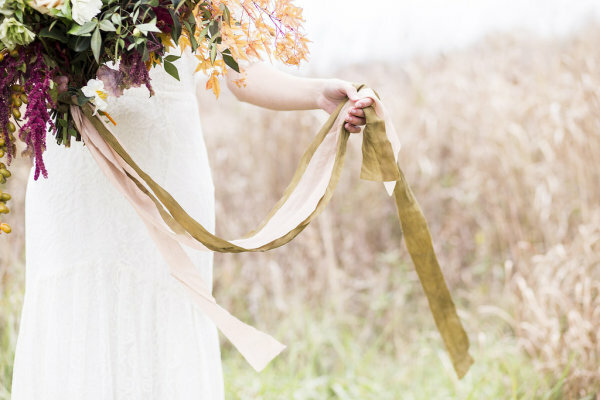 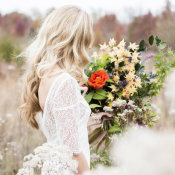 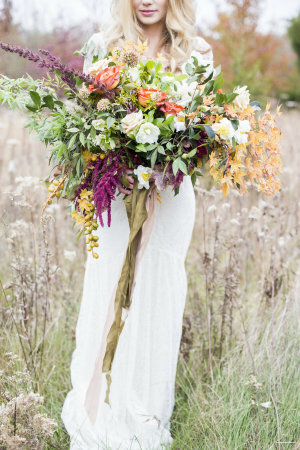 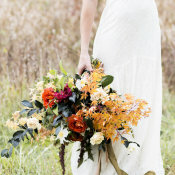 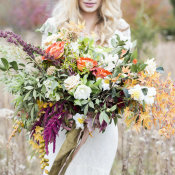 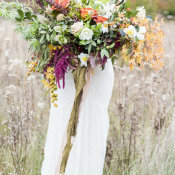 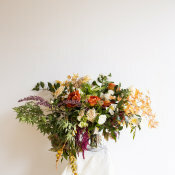 The bouquet created by Lori Tran of Wild Green Yonder may just be one of our absolute favorites ever with its sprawling greenery, autumn blooms, and flowing ribbons from Silk & Willow. 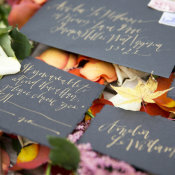 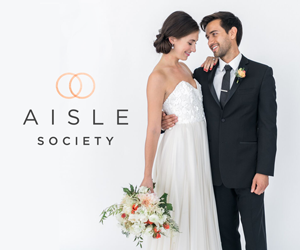 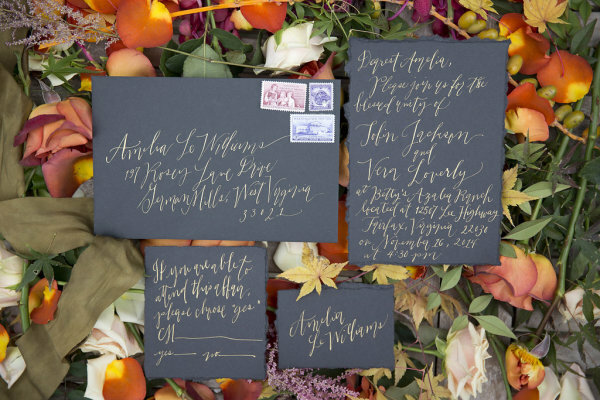 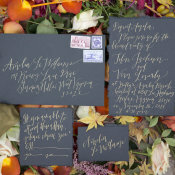 The inimitable Laura Hooper Calligraphy hand-lettered gold ink on charcoal paper to create stationery that beautifully encapsulated the spirit of the shoot, and we adore the lace Sarah Seven gown paired with loose, easy waves styled by Erica Basha. 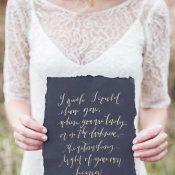 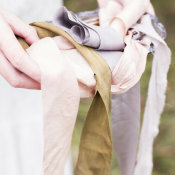 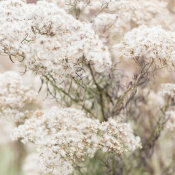 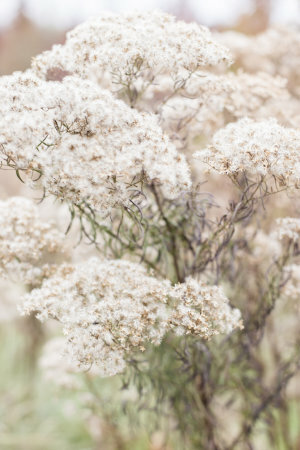 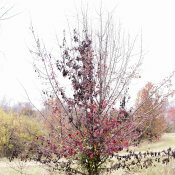 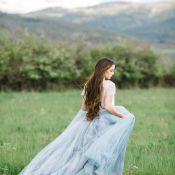 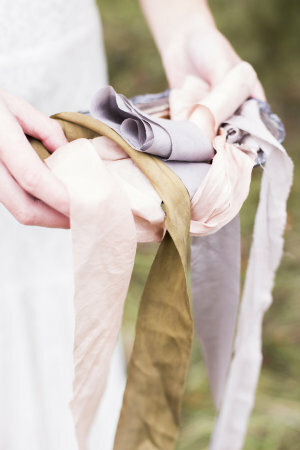 We’re smitten with each and every image from Reverie Supply!